Here is the hand position that many crocheters find more comfortable. It is a simple switch of the first and second fingers. If this works better for you, I encourage you to use it. 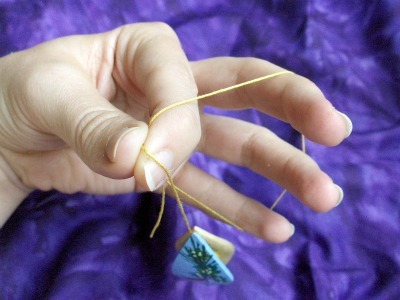 This is actually how I’ve always held my tatting! I learned how to crochet when I was very young (around 10 years old), and though I hadn’t crocheted in quite awhile by the time I started teaching myself how to tat, I found it was much easier and much more comfortable to keep a hold of the rings like this. 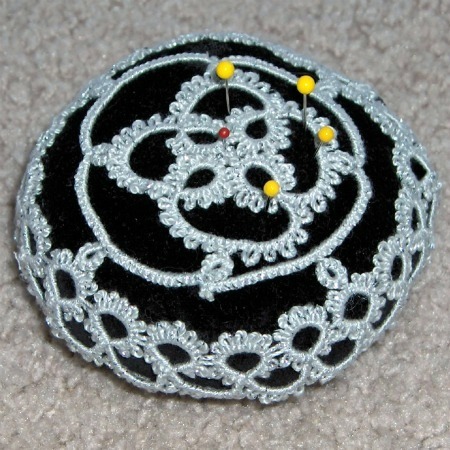 I am trying to find directions for making interlocking rings in shuttle tatting. I found one web site, but couldn’t get it to work. Any idea where I might find another explanation? Cindy, are you referring to Celtic-type designs, where the rings weave in and out of each other? I was just rereading some of your info, as I frequently do, and I always find something that I had missed or hits the spot of what is going through my mind. 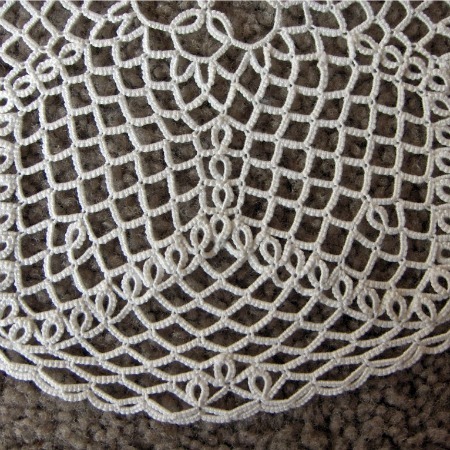 I spent days trying to train myself to using the tatting position in the first picture and keep finding myself slipping back to the crochet position (been crocheting for over 50 years) and I finally gave up just use the crochet position….I am making much more progress with the shuttle tatting since I decided to us the crochet position. I’m so glad that helps. It really doesn’t matter which way you hold it as long as you can make the stitch flip. When I stopped fighting and decided to just the crochet position, I made so much more progress…..tension is better for me and everything if I do what “my hands” feel as natural….. I have seen so many different ways to tat at tatting conferences it is amazing…..do what feels right so that you love the craft and continue. 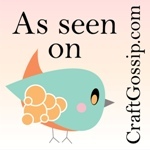 Crocheters and knitters, too! I knit and had the hardest time doing it the ‘right’ way’. Like others, when I made the switch it made all the difference. Thanks for showing this so others will know right off the bat that there is more than one way to position the left hand. I am very very left handed and have always avoided tatting because of the difficulting of learning the opposite way. I learned to Crochet and it was quite hard to learn although I have had no problems with patterns etc. 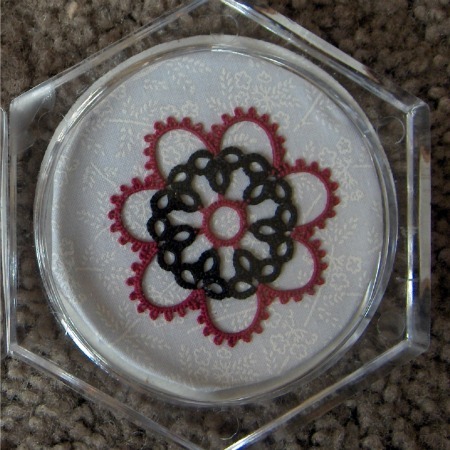 Do you have information as to a video or instructions for learning Tatting Left handed? For the person who is left handed. I am naturally left handed but my mother taught me young and I tat, crochet and knit as a right hander. She taught me that since you are using both hands anyway, it is easier to do it the way the rest of the world does. She was absolutely correct. 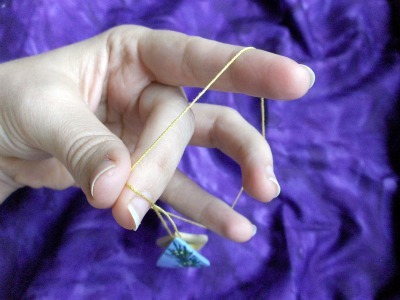 I am good at all the thread arts using my right hand. Thus I am ambidextrous. The advantage is that I don’t have to rethink the directions where directionality is needed. I was so happy to come across this tip. As a long time crocheted I kept shifting my hold to the crochet grip. I always tried to go back to the “real” hold which was a lot more difficult! I did not know this way of holding the thread had a name!? cool,! I have tried a number of times, and just can’t do it, I either drop the thread or my hand cramps. So I have been doing it “my way ” and now I have a name for it.